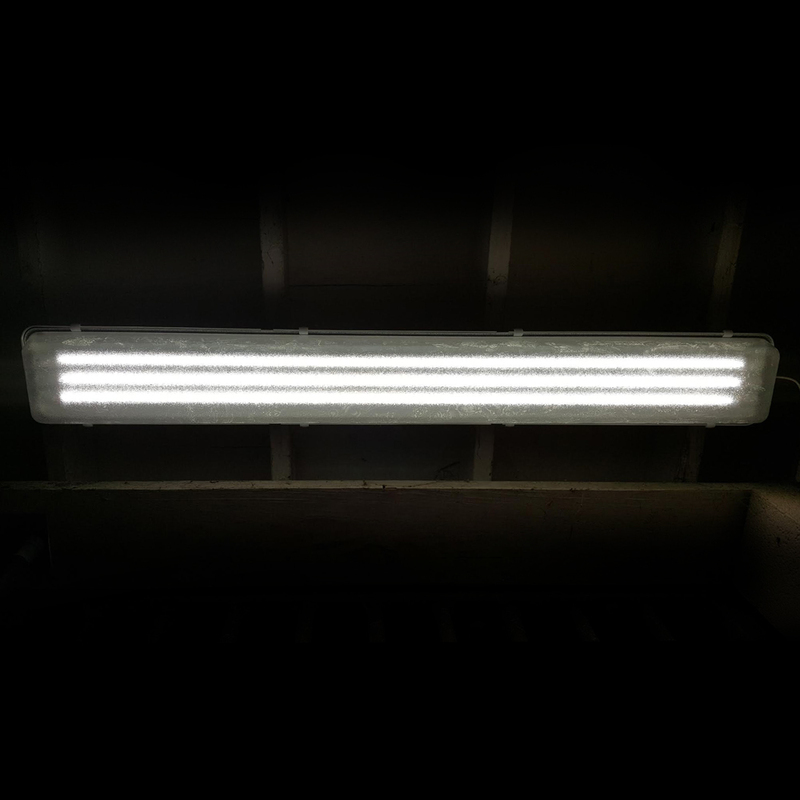 This 4', 3-bulb (included) LED lighting system will really "brighten" up your day! 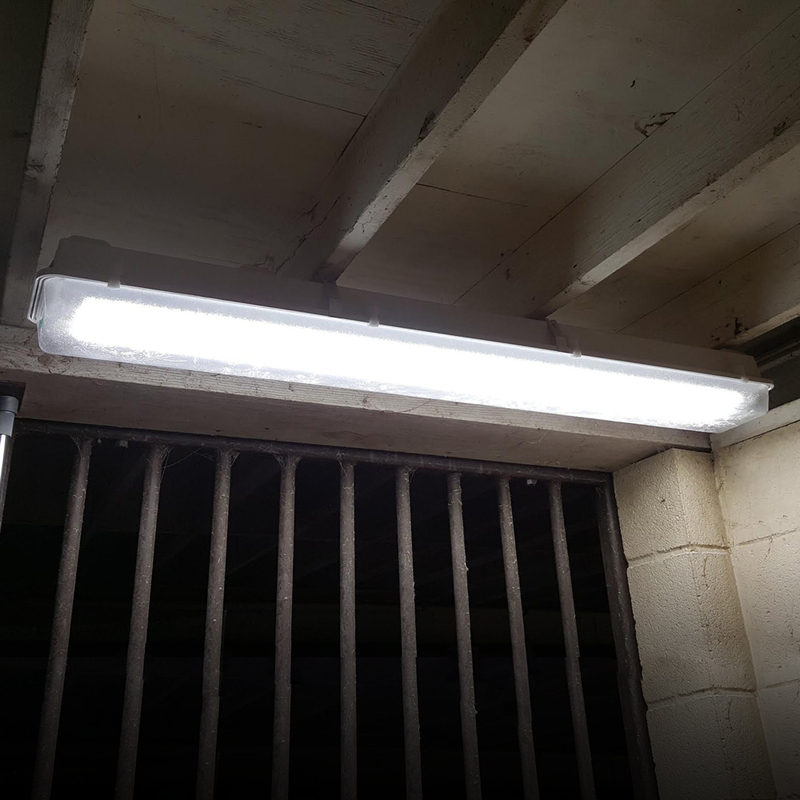 This lighting fixture has 5,242 Lumens a frosted shatterproof polycarbonate lens that provides 5,000K (Daylight color tone) and a NIGHT LIGHT feature. 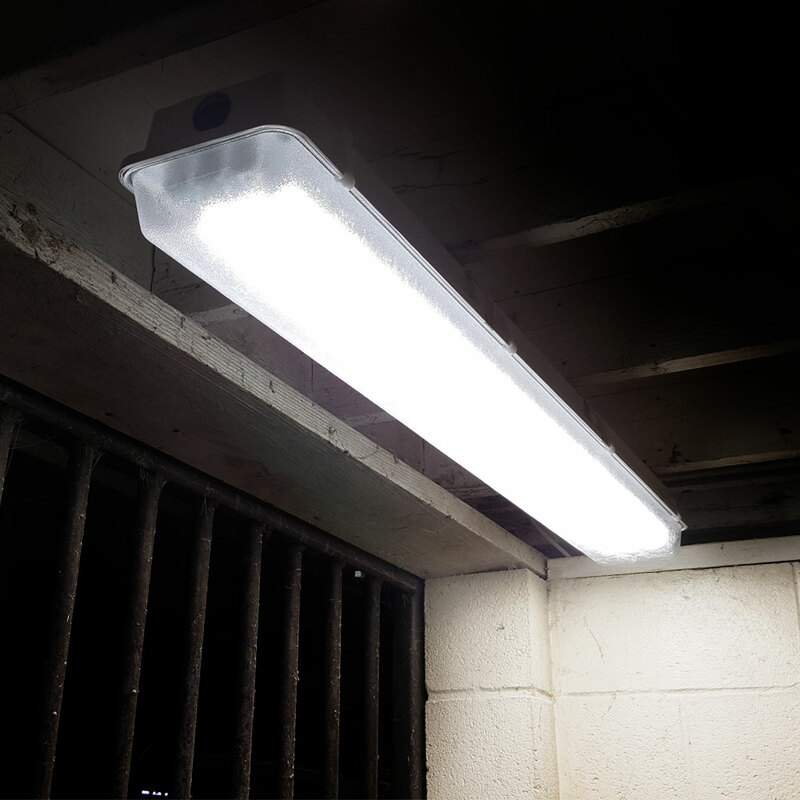 This 4', 3-bulb LED lighting system will really "brighten" up your day! 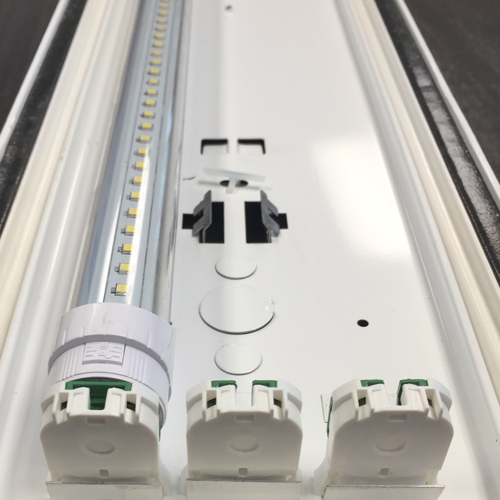 The T8 LED lighting fixture is 5,242 Lumens and has a frosted shatterproof polycarbonate lens that provides 5,000K (Daylight color tone). The T8 has a full-intensity startup, with no humming or flickering... even in temperatures as cold as -20°F and as hot as 130°F. Additionally, this lighting fixture is the lowest heat emission of standard lighting and is cool to the touch. 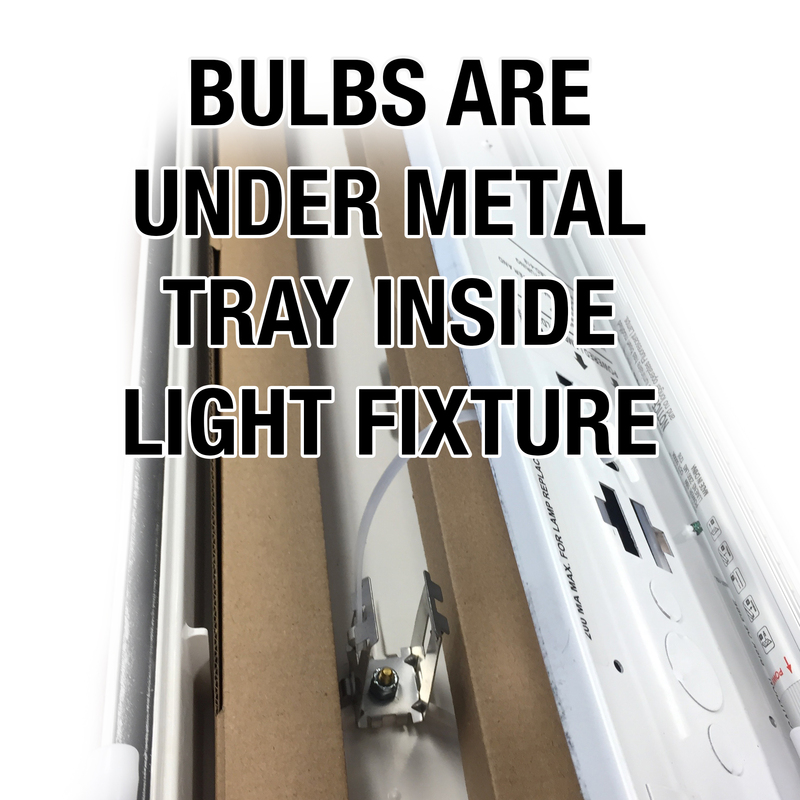 And let's not sleep on the T8 LED lighting fixture's night light feature that allows a second circuit to turn on any specific bulb(s), depending on how it's wired! 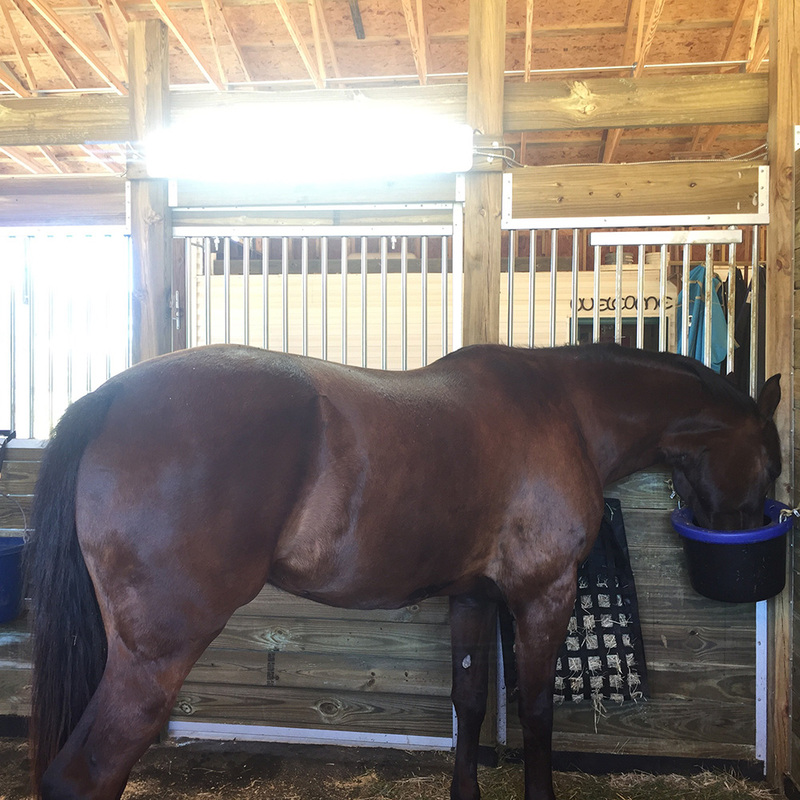 This is perfect for night checks, broodmare barns, or any situation where low light is desired (this does require a second circuit to be hooked up). No ballasts to repair or replace. Full-intensity startup with no humming or flickering, even in cold temperatures. 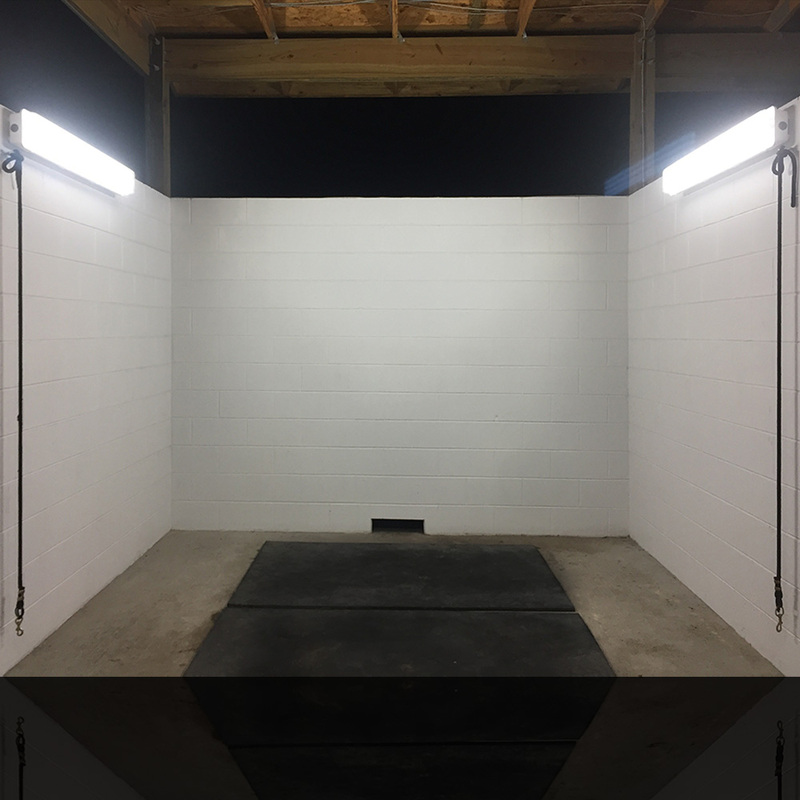 UL certified for wet locations – these are designed for use in barns and wash bay locations! Save up to 90% versus incandescent or up to 70% versus fluorescent. Energy rebates may be available in your state - check with your state or local electricity provider. *For wet locations, a waterproof grommet may be required depending on installation method. Mounting brackets are included but it does not include a plug. - "Love them! They light up the barn!! 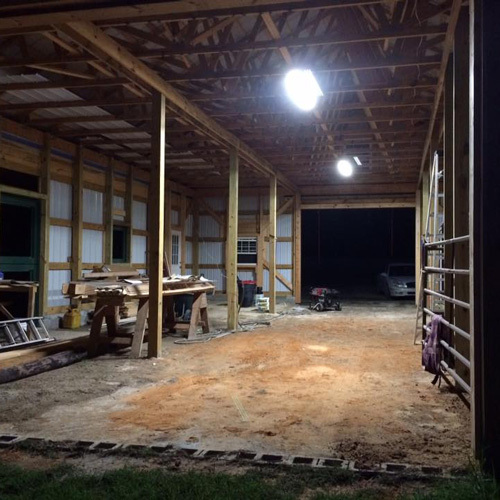 My husband was skeptical until he saw how much the 8 lighted it up and then he wanted 4 more for the center of the barn. Great lights and couldn't ask for better lighting!!" - "Received the lights. Very prompt shipping. They are everything I hoped for and better! Your products are all top of the line." - "The lights are awesome! They are just how you described them. Thank you for all of your advice. 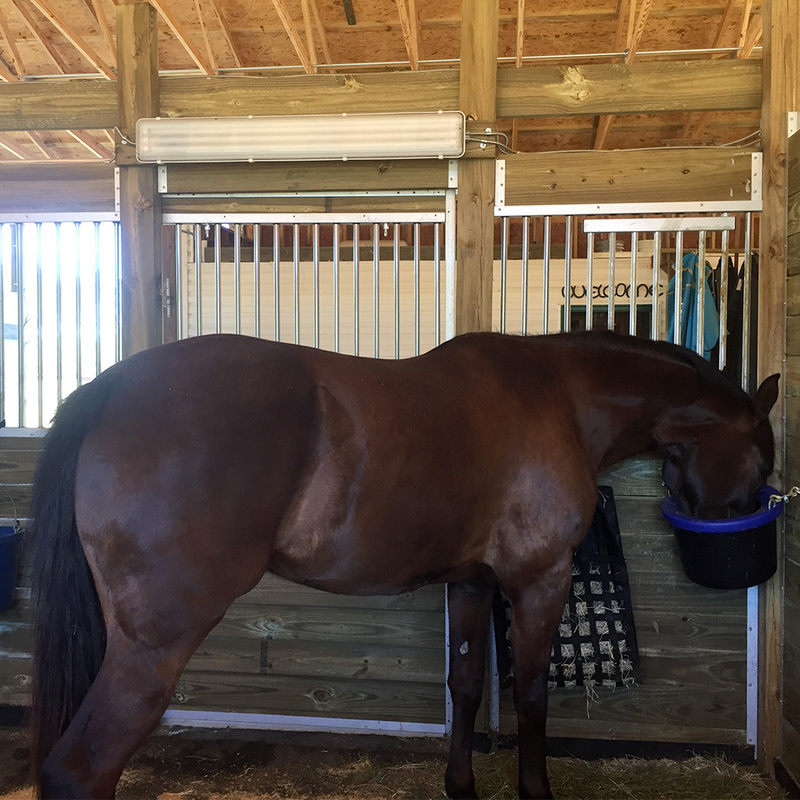 The T8s are perfect in the aisle and wash stall while the T5 are perfect in the stalls. They both give off plenty of light. The T8s are truly daylight quality. 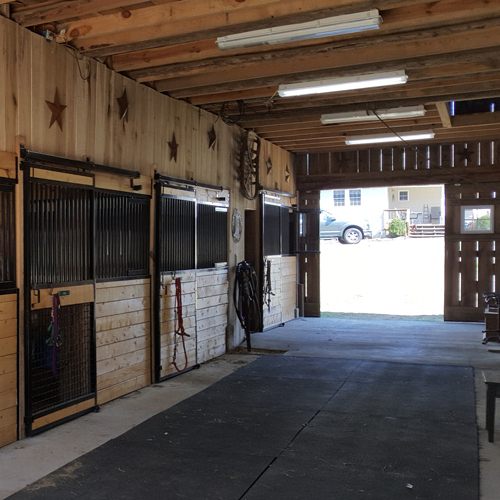 My barn is better lit than my home!" 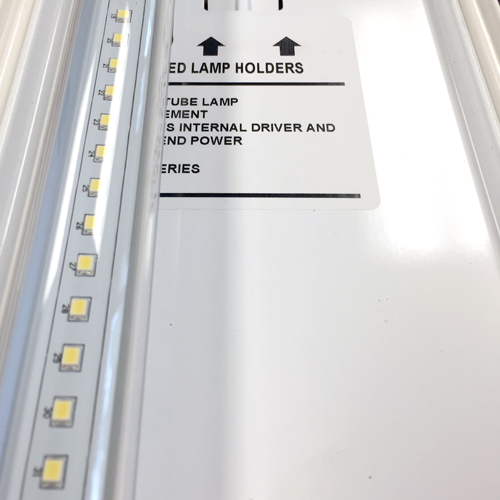 Lumens: 5,242 Lumens – uses high-efficiency, super bright LED chips that are rated over 100 lumens per watt! Bulb Life Expectancy: There is a minimum 60,000 hours of operation life. Power Surge Protection: Up to 1,500V with automatic shut down.